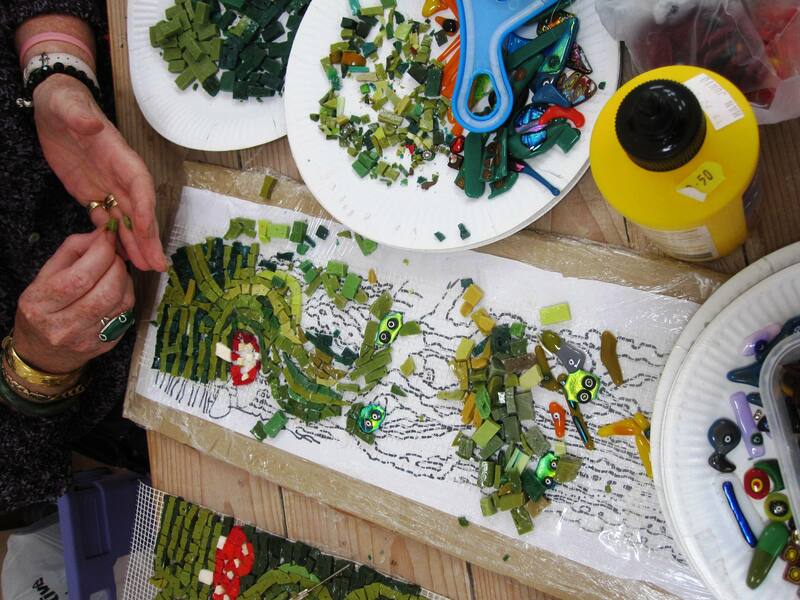 A permanent summer fixture, Roz Wates’ ever-popular Mosaic Summer School returns. It wouldn’t be summer without one. Suitable for the complete novice and experienced mosaicist alike. Roz Wates will be on hand throughout the week to offer help and assistance when needed. The atmosphere is relaxed and the banter good! So come and while away some lazy summer days with us and enjoy being creative in a stunning environment! The price for the 5 days is £225 to cover all tuition and most materials.